This floorstanding giant giraffe metal sculpture, with its contrasting black and silver markings, beautifully captures the grace and might of the most statuesque animal on the planet. Ideal for an African theme, the reticulated pattern on this metal giraffe are made from silver metal lines enclosing textured black sections to give an eye-catching finish. Standing proud on a stepped silver base, this graceful giraffe has its head forward is if choosing tasty leaves from the tree tops. 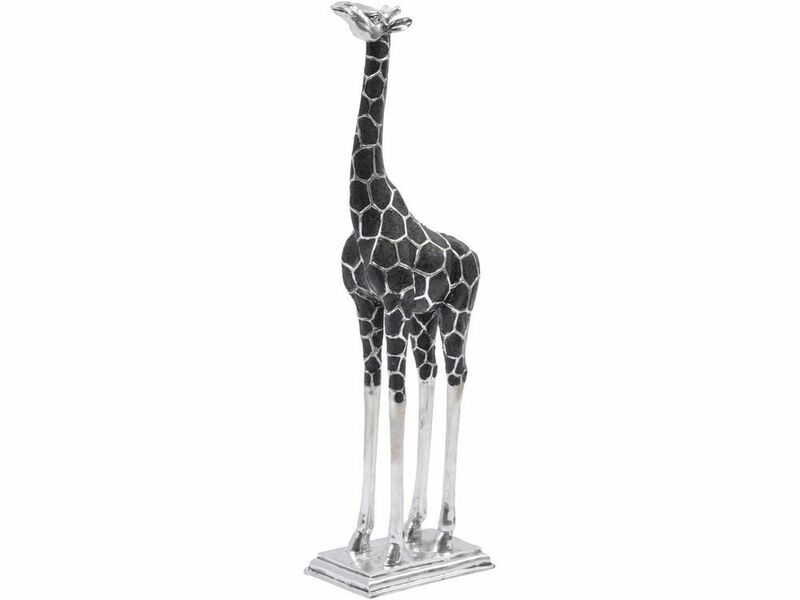 This striking giraffe will make a stunning room accent, either on its own or as part of a pair with the other complementing silver giraffe also available.